If Jurassic Park has taught us anything, it’s that if rich people are able to harness genetic power, they will wield it like a kid that has found his dad’s gun. 22 years later, this time the “kid” is Simon Mastrani (Irrfan Khan), the owner of Jurassic World, the dinosaur theme park built on Isla Nublar that Dr. Hammond envisioned. It is a success, but since 2005, one that is also beginning to decline in popularity and attendance. 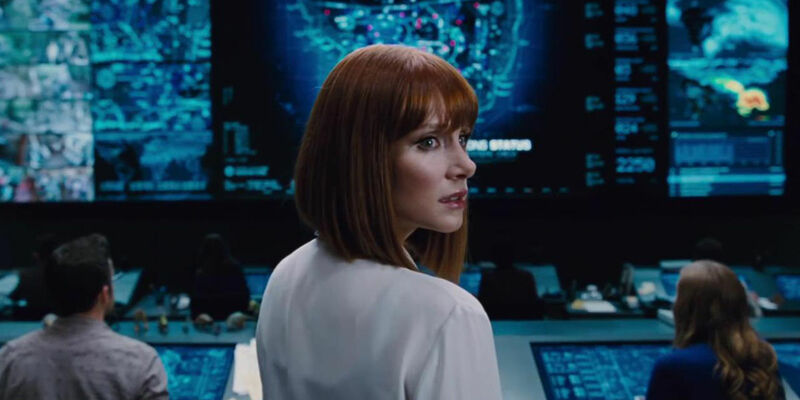 To counter this, Simon and park operations manager Claire Dearing (Bryce Dallas Howard) have it in mind to create something that will be unlike any other attractions. That new attraction is the dinosaur Indominus rex, mixed with so many genetic modifications it may not even be a dinosaur. But it is in appearance, which means she’s dangerous, and upon being prepped for release to the public, she gets loose and begins to run rampant on the theme park. The only man who may know how to slow it down is Velociraptor trainer Owen Grady (Chris Pratt), probably the sanest man on the island. Comparisons are unfair, and yours truly always tries to look at a movie on its own, independent of what has come before it. 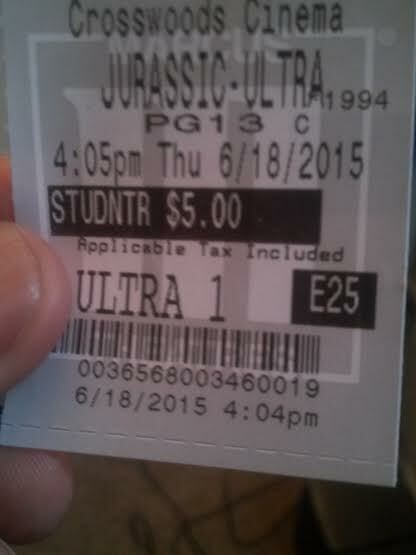 If we are being honest though, it is hard to do so when the name Jurassic is in your movie’s title. All that come after the groundbreaking Jurassic Park will be compared to it, fairly or unfairly. So, Jurassic World arrives as the latest entry into biggest dinosaur franchise around, and it is fine, definitely a summer blockbuster through and through. Maybe not much more than that, however. The new park, and by extension, the CGI, are pretty impressive. Instead of coming back to get a directing credit, executive producer Steven Spielberg gives that responsibility to Colin Trevorrow (Safety Not Guaranteed). Sure, the sheer awe cannot be replicated from the original with that one’s animatronics and CGI, but there is nothing like seeing dinosaurs go postal on anything, everything, and each other. This is best shown in the third act, where simply, all carnivore hell breaks loose. While the well-done effects are again impressive, they do not cover other aspects of the film that feel either unhatched in their execution or just lazy in it. In a lot of ways, Jurassic World is a remake of the 1993 spectacle, starting with the characters. More characters exist in this one, but put 1993’s characters on one side and 2015’s on another, and lines could be drawn to match each to one another. Problem is, they aren’t as compelling as the ones before. Two brothers fill the parts of Dr. Hammond’s grandchildren, serving as the youngsters in distress. Neither, especially the older brother, are all that good at conveying fear, as as a double whammy I wanted to see the older brother die even as the movie tried to turn him into a loving brother; he’s that much of a jerk in the early part. Even Jake Johnson is here as a chief park tech operator, a poor man’s Ray Arnold played by Samuel L. Jackson with less funny lines. The spirit of Dr. Hammond is seen in Claire as she is the park operator, but perhaps more so in park owner Simon. Unlike the wealthy entrepreneur, Claire (at least for most of the movie) and Simon aren’t so much people as they are constructs of themes/ideas such as negligence, lack of responsibility, corporate greed (also represented in the dinosaur), etc. They actually pale in comparison to the over-the-top character of Vic Hoskins (Vincent D’Onofrio), who serves as a conduit for the themes of weaponization and subjugation. It is actually kind of comical how black and white he sees the world. 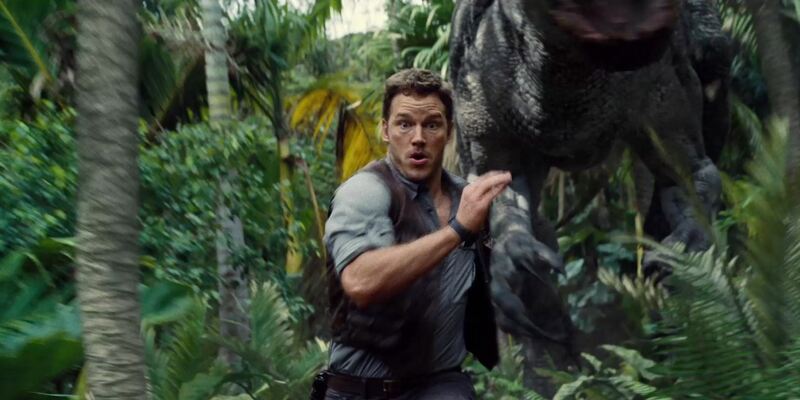 Chris Pratt is a superstar now, and he is probably the best piece of Jurassic World, cementing his leading man status. As Owen Grady he is a mix of Dr. Alan Grant, Dr. Ellie Sattler, and Dr. Ian Malcolm, just with more Indiana Jones actioner thrown in for. Likable, charismatic, and relatable to the audience. He ends up being the only character that the audience really cares for, and that is up for debate because there is never the feeling he is in danger. Possibly the biggest issue yours truly has with this movie is the fact that though the original had great action and graphical excellence, the best scenes were the ones that spotlighted the characters. Who can forget, for example, the awesome lunch scene where Ian and company detail everything wrong with Hammond’s vision? None of those moments are here because most of the characters are pretty stock. As a result, only the action and prehistoric mayhem are to be worth anything. 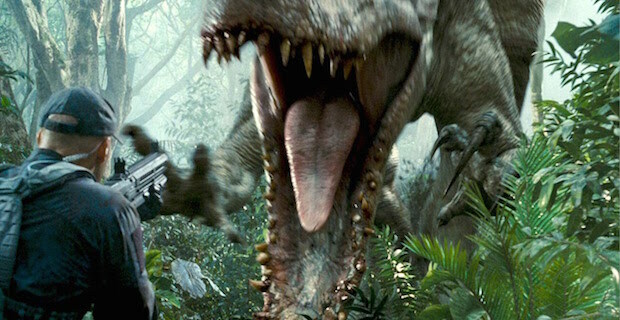 Still, satisfaction will be found in Jurassic World just from a summer blockbuster sense, as there is a good deal of fun once it gets going to be had. Hold on to your butts again, just not as tightly. Photo credits go to digitalspy.com and screenrant.com. I think everyone had a better time with this than I did. I would say this film ruined my childhood, but I’m not a child anymore.